The guide contains information and guidance is designed to provide small businesses and entrepreneurs with in-depth, step by step approach to improve the success of their marketing by better reaching and creating awareness amongst the audience who are most likely to commit to their products and services. 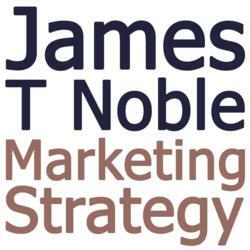 James also aspires to improve online marketing strategies overall by making them more streamlined, more efficient and cost effective. Raven Internet Marketing Tools is an online platform designed to help users research, manage, monitor and report on SEO, social media and other Internet marketing campaigns. Raven Internet Marketing Tools, is a privately-held Nashville-based company founded in 2007.